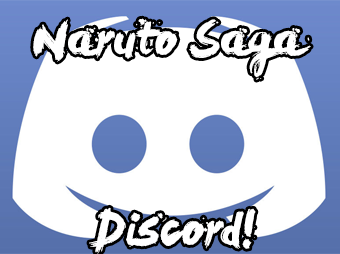 Naruto RP Saga » Ninja Scroll » Clans » Kokū. Clan History: Not all rumors are false. Heretofore, the Kokū monastics have been content to hide themselves away in the crevasses and unvisited places of the Lightning Country, hiding and yet honing their secrets. It is rare, or to be pithy unheard of, that a neophyte to the ways of the order would boldly leave the confines of their teachings. Many live out the remainder of their days attempting to unlock the secrets within the caverns. Kekkei Tōta Description: Certain people have the ability to simultaneously produce Water, Wind, and Earth natures. Earth provides 'inert stagnation', water provides 'incessant transition', while wind provides 'imbalanced drive'. By combining these three as one using Yang-aligned chakra to amplify any of their energetic or motional properties, they convert the normally static natures of physical elements into a Release that embodies the influence which they may all exert. Force Release is a slightly-symbolically-named Bloodline Selection that enables the user to control states of energy (like potential and kinetic), as well as the structural integrity of physical objects (by manipulating their own rest energy, and the dispersion of other energies through them). Zeiton often involves the transformation of energy to or from the potential state to either create or halt actions, as well as transferring energy from one type to another, or other changes, in order to modify what has already happened. Force Release, being a combination of Wind, Water, and Earth Releases, is a balanced type of Elemental Nature. Wind's weakness to Fire is negated by Water, Water's weakness to Earth is countered by its own use of Earth, and Earth's weakness to Lightning is countered by Wind. Thus, this Release has no weakness, speaking only of the five base elements. Force Release-aligned abilities are treated as always trumping the effects of basic Taijutsu or force-based basic strikes made without the use of chakra, regardless of rank, due to natural pressures being nothing in comparison to what a Kokū can create, and inversely, nullify. The element's direct attacks tend to be implosive; structures collapse in on themselves when the pressure they exert outward and its form are weaker than that which is acting upon them, and this nature can weaken or strengthen either of those. Note that because Force Release can't directly transform energy into its thermal or electrical states, most types of burns can't be inflicted with its use. One of Force Release's quirks is being a type of Precision attack; they can manipulate all of their techniques, not just Zeiton ones, to harmlessly dissipate any force they had, or to reduce the force if need be, by releasing it elsewhere. This can't be done with cutting or piercing attacks that don't rely so much on the force behind them (like a katana). This nature can, notably, manipulate energy in the form of eponymous forces, including those imposed by other jutsu. While it can't directly control electrical or gravitational forces due to its component elements, one way it shows versatility is that it can directly intervene in the actions of others where the standard jutsu interactions would not allow, due to it being able to manipulate energy and forces from afar without its chakra being in contact. Wielders can create B-rank jutsu that increase or decrease the effective rank of other techniques (due to its interaction bonus above); they also treat their non-Perception de/buff techniques as 1 rank higher during creation for the purposes of determining the need for a drawback, also due to the above benefit. It is unique in its control aspect, even able to cause things that normally do not exert a certain type of dynamism (e.g. kinetic or light) to do so, and vice-versa. It can strictly direct and restrain from where and to where energy flows. Its precise control allows its users to transfer the force from one area of a jutsu into another; once per technique, by sacrificing two ranks of speed, power, or range, a Zeiton user can increase one of the other two by 1 rank. Zeiton typically manifests as a series of hollow-centered, ultrathin, nearly 2-D chakra structures, such as rings; anything inside or outside of said hollow center may be affected by the technique. However, the less discriminatory the technique, the less visible this is. Using said structures eliminates the need for hand seals. They start with only one of the needed Water, Wind, or Earth Releases. They can learn their secondary element for no Ryo cost, but the same wordcount as a Tertiary Element. Using the normal training rules for new elements, they may learn the third at any time afterward; once they know all 3 of Water, Wind, and Earth, they may train for an additional 3000 words to learn Force Release, costing no Ryo. Force Release is trained as if a Tertiary Element, and both Zeiton and the Tertiary Element may be trained to SS-rank with 10,000 words each. A Kokū, once they unlock their Force Release, internalizes all the hard work they put into creating their power. The first two passive jutsu they create for Zeiton don't require reducing their maximum chakra pool (though may act as if they did, up to 10). They also learn to manipulate forces like pressure around them so that they can duplicate the effects of Supernatural Walking Practice at all times. Force Release is ineffective against more complex methods that both do not have a specific physical form and rely only on non-physical attacks (or don't work via transference of energy); this includes the Nara's Shadow Hiden techniques (when nonsolid), Magnet Release (its magnetic fields only), and Plasma Release. Also, certain high-energy elements, like Scorch and Dust Release, are impossible to manipulate in the normal domineering manner. Its interaction bonuses (as granted in the Properties section) against the jutsu/elements stated above are nullified, and Plasma gets +1 against it in addition to this. Force Release is not an inherent trait; it results solely from dedication to a single art. Unlike other Advanced Natures, Zeiton does not rank up automatically. Instead, it must be trained separately; the rank to which it may be trained, rather, is limited by that of the lowest constituent element(s). So, if your Wind Release is S-rank, your Water Release is B-rank, and your Earth Release is D-rank, your Force Release is also at D-rank. Once you rank up your Earth element to C-rank, you can then also train Force Release to C-rank. A Kokū discards everything in exchange for something they can finally do with their life, possibly even discarding an old Kekkei Genkai through means known only to the obscure hermitage that trained them. Their primary element starts at D-rank, and their Primary Specialization starts at C-rank. They must learn their secondary specialization using the normal rules for such without Ryo. It is fairly unrealistic to say that one could completely master three elements in addition to something as potent and complex as a Bloodline Selection. Indeed, while one can possess a chakra nature contributing to the power of Force Release, one cannot split the time needed to learn and keep sharp the control necessary for Zeiton with learning techniques for an entirely different element. One of a Kokū's Primary, Secondary, or Tertiary nature cannot be used to make techniques above C-rank. (This need not be stated anywhere; if a B-rank or higher technique for a third base element exists in your Jutsu List, you've already broken this rule.) This also inhibits the use of active chakra abilities from items utilizing that element. In this way, all further ranks of the restricted element become, essentially, extra training for Force Release itself. Because of the effort they have to put into their craft, unlike the natural aptitude that other Advanced Element users have, a Kokū can learn a quaternary specialization. However, like the difficulty they experienced starting out, expanding their horizons is equally taxing. All wordcounts required to learn and train a Quaternary Specialization are increased by 50%. Okay, so this is an interesting concept for an advanced release. I'll have to run it by one of the owners and see what he thinks of it, before anything, but it does have similarities to another clan that manipulates force/energy in its most basic form, though that clan seems to have been pulled for rework prior to me being assigned to clans so it won't be taken into consideration for the time being. Just for clarification, the "pressured" path is just opting to start with less elements/having higher training costs? It's a bit confusing, because there is no other path listed so I'm not sure if it's the only path, though evidence in the drawbacks suggests that it isn't. Speaking of drawbacks, they seem sufficient, but this clan is also unique and thus has to be approached differently than say a Canon advanced release or one that follows a regular template for an advanced release. I'll get back to you when I get a response from Bokuden. Just got word back from Bokuden, and he doesn't like the concept. His reasoning was that this is not an actual nature transformation by source material standards, and he doesn't think that it fits the setting. As for my two cents, I have to agree with him there, because though this might be passable in jutsu registration given the correct explanations and adjustments to site rules (perhaps using medical ninjutsu, since it alternates states of energy between kinetic/potential and can be applied physiologically? If I remember correctly, that is how the aforementioned clan that was pulled functioned), it doesn't necessarily need to be a clan and certainly not an advanced release since wind release on its own can emulate such properties of "[creating] or [halting] actions", though via a different, more external mechanism. Beyond that, the justification for its constituent elements and how the advanced release in itself works is kind of a reach, touching back on Bokuden's point of how it's not an actual nature transformation, in the elemental sense.